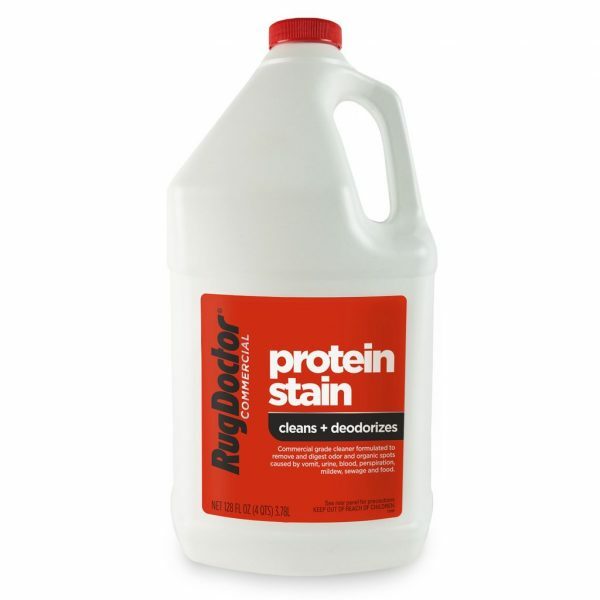 Rug Doctor Commercial Protein Spot and Stain Remover is scientifically engineered with Bio-Enzymatic technology to remove organic spots and stains and destroy odor caused by vomit, urine, blood, perspiration, mildew, sewage and food. Our professional strength formula can be used as a spot treatment, deep carpet cleaner and deodorizer. Safe for use in schools, hospitals, offices, apartment complexes. New Weekend Warrior scent.